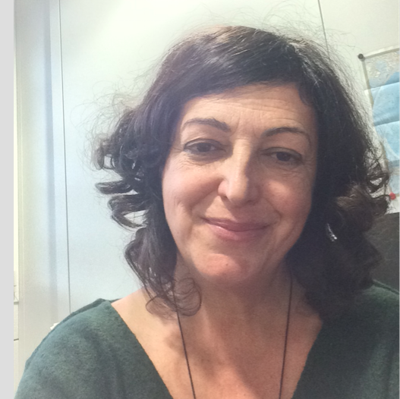 Maria obtained her Laurea in Physics in 1991 from Bologna University, with a thesis in Cosmology on the Large Scale Structure of the Universe. In 1992 she started working at CRS4 in the newly born Parallel Computing Group on parallelization of molecular dynamics code. In April 1994 she was the recipient of a EU Marie-Curie FP6 fellowship to bring on her research at the Laboratoire des Physique des Milieux Ionise (LPMI) at the Ecole Polytechnique, Palaiseu, France. In 1998 she obtained her PhD in Plasma Physics from Ecole Doctorale de Troisime Cycle DE L&apos;Ecole Polytechnique discussing a thesis on theoretical and computational analysis of charged particles&apos;motions in electro-magnetic fields. From May 1999 she is researcher in the Fuel Cell Area at CRS4 working on molecular dynamics simulations of proton conducting membranes and on the development of finite volume codes for electrochemistry. In May 2006 she begins working on proteins&apos; structure and dynamic in the Bioinformatics group at CRS4. In the same year she got her Master in Bionformatics with a thesis on the large scale protein-protein docking. From 2010 she works in the AGCT group on data analysis for case-control studies of genetic diseases. Maria is interested in studying dynamical and structural properties of proteins, and in this regard collaborates with Binaghi Hospital in Cagliari developing human mitochondrial DNA haplogrouping algorithms and structural models of multiple sclerosis onset.